If only jobs were as easy or exciting as they initially sounded. The idea of being a chocolate taster seems like a good idea but if you think about it, maybe not. After a while, you are likely going to be pretty sick of chocolate. It’s kind of the same thing when casting a voice for a production. There are lots of talented men and women out there who serve as professional announcers or voice over talent and can easily a voiceover your commercial, imaging project, on-hold message or video narration. That’s where the challenge comes in. As the potential voice over employer (client), having to describe a voice you want for your project for a production house or on-line audition service will almost require a PhD in similes. If it makes you feel any better, voice talents are just as bad as describing their sound for clients (the over used description “voice of God has always struck me as a rather unqualifiable reference that always makes me chuckle). But these totally subjective descriptions from clients and voice over talents are a large part of what makes voice casting an incredibly inexact science that rarely proves accurate. It’s not because the employer or announcer wants to mislead, but more because the spectrum of sound quality is so skewed to each listener’s taste. If one voice over talent audition is heard, a hundred are heard. Old voices, young voices, sleek, rough, country-bumpkin and city slicker. The even worse news is that on some auditions all the aforementioned voices may be on just one audition. Set some uninterrupted time aside and plow through them… it’s going to take awhile. From the office secretary of a small business to the Chief Creative Officer at a worldwide advertising agency (and that IS how broad the range is of people selecting a voice talent nowadays), what you think you want at the beginning of the process is rarely what you end up with at the end of the voice over auditioning process. Of course, there are exceptions but usually the process of voice talent auditioning creates some sort of epiphany for the client at some point in the production process. Whether it’s the special sound of a female talent’s low vocal register or the dead-on impersonation offered a male talent, a voice talent can cement an ad campaign’s direction or so amazingly enhance a marketing concept that a new campaign idea is born. It happens all the time. Ultimately, the best suggestion for a client is to keep an open mind, even when you “know what you want”. – With the tossers, while it would be more professional if you created a generic but personally addressed letter politely saying “thanks but no thanks” most voice over talents subscribe to the notion that they didn’t get the job they just auditioned for; which make the “you got the job” call THAT much sweeter. â€¢ On customized demos, be ready to hear the same script over and over….focus on listening for script intrepretation, tone and inflection. Don’t focus on the words or you’ll zone out (see the earlier chocolate taster reference). I get asked all the time about producing voice over demos. I certainly have produced more than my share and its a lot of work for one minute’s worth of voiceover, job-getting magic. But you’re impatient and you want the golden ticket NOW. You’ve got 20 seconds, if you’re lucky! Now get in line, cross your fingers and say a prayer. You’ve just sent in your voice over demo for a possible voiceover job….along with anywhere from 5 to 200 other voice over talents. “Throw in the garbage” file. Anyone in voice-overs (even the so-called “big names”) know a voice over talent is going to get rejected more often than they get hired…the numbers are not in the talent’s favor no matter how talented. Since most times the voice actor is not likely to be auditioning in person (especially outside the big 3 U.S. markets) you (the talent) have only one tool at your disposal to represent your enormous talent, range, creativity, charming personality, client-friendly demeanor, multi-faceted character repertoire and stunning good looks (in the eyes of the listener). That tool is your voiceover demo. And now you’re only getting 10 seconds…this better be good. No, I was just kidding. 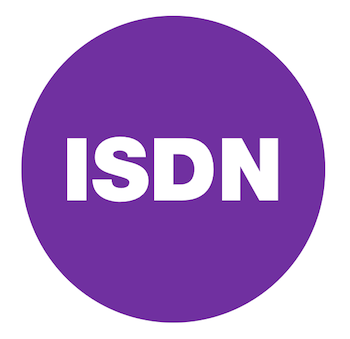 The industry standard is one minute for the length of your voice over demo with segments of spots ranging anywhere from about 6 seconds to 12 seconds depending on the content. The point is that whatever the producer hears in the first 10-15 seconds will determine whether your voice has the exact (or very close to exact) quality the producer is looking for. What is that quality? Only the producer knows (it’s very subjective) so all you should worry now only about showing your best work as professionally as possible. Every voice artist should have at least one strong generic demo to be able to present to a prospective client (at the moment, the most favored demo format is an MP3 for e-mail and a CD for snail mail….and yes, the CD should have a professional look to it, not a Sharpie scrawl of your name across it). 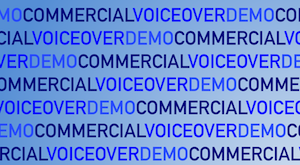 Some folks create generic demos based on category…a generic commercial demo, a generic narration demo, a generic character voice demo and so on. Tailored demos simply mean the producer has a demo script he/she wants you to voice; if you are asked, do it. How do I determine voice over demo content? The best or most widely heard of any spots or narrations you’ve been paid to create (this should include straight reads as well as character voices). Preferably you want the fully produced cuts on your demo, not the dry reads unless that’s how they were produced. Any tailored commercial, narration or voice imaging demos that you felt really presented your talents well. Determine your best work from all your categories (commercials, narrations, voice imaging, on-hold, audio books etc.). Then consider the type of work you’re most often hired or considered for and include best of all those segments mixed as you think works best. When you’re done producing your voiceover demo….you’re not. Play it for other people in the business, get their opinions, and tell them to be cruel, put it up on some voice over bulletin boards that encourage member-to-member critiques. Take all the info to heart (but not personally, the critiques are about “the voice”, not you) and make the changes that you think make the most sense. What’s in that first 10 seconds? The voice that you can do well that seems to be in vogue among those who are hiring (at the moment, it’s the sort of conversational, everyman voice as opposed to the big-balls announcer voice). Voice demos are close to the apex of and imperfect science. It is an ever-evolving tool and one for which your lively hood depends…but no matter how good it is, your demo is useless if no one hears it. That requires marketing. And that’s a subject for another day.